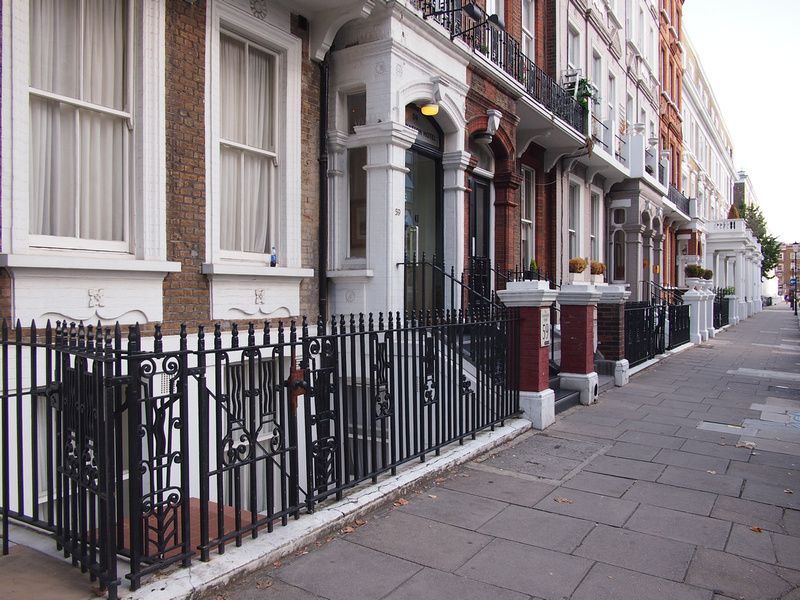 Address: 59 Nevern Square, Kensington and Chelsea, London, United Kingdom. 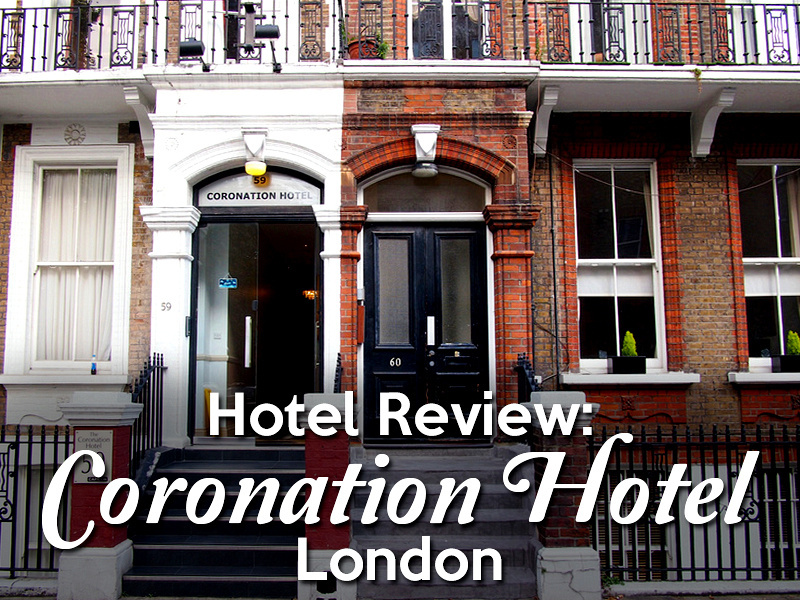 I stayed at the Coronation Hotel in London. I picked the hotel for its location in Earls Court, near the Earls Court tube station. As I only had a short trip to London this was a good location to get to from Heathrow, and be close to central London. I stayed in Earls Court when I first arrived in London in 1999. It was still somewhat of an Australian travellers enclave at that point, but already the cheap hostels where being pushed further west, away from central London. Most of the cheap and run down bed and breakfasts that were in this area seem to have gone or have been renovated. 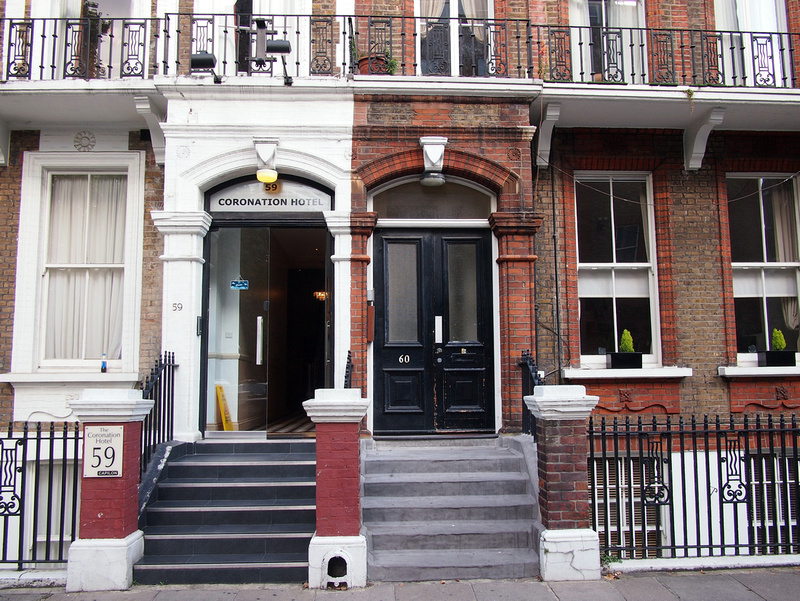 The Coronation Hotel is in a row of old terraces on Nevern Square, a short walk from the tube station. I got a single room with a private bathroom. Many of the older hotels and B&B’s in this area have shared bathrooms, so check those details if a private bathroom is important to you. Usually when I book a single room it is just a double bed, but here it is an actual single bed. 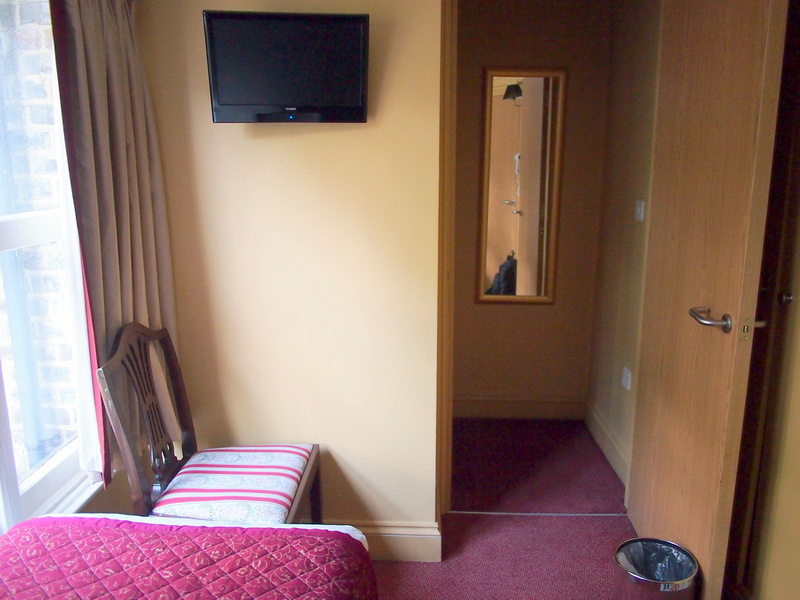 I had a big window which made the room bright and feel a bit more spacious. If you have never stayed in London before you will soon realise that hotel rooms aren’t as big as most hotel rooms around the world. The room had its own entry room, and there was enough space to unpack my gear. While the building and fixtures are old, it feels like the hotel was recently renovated as everything was in excellent condition and things worked. I’ve stayed in so many hotels like this and always had something go wrong. 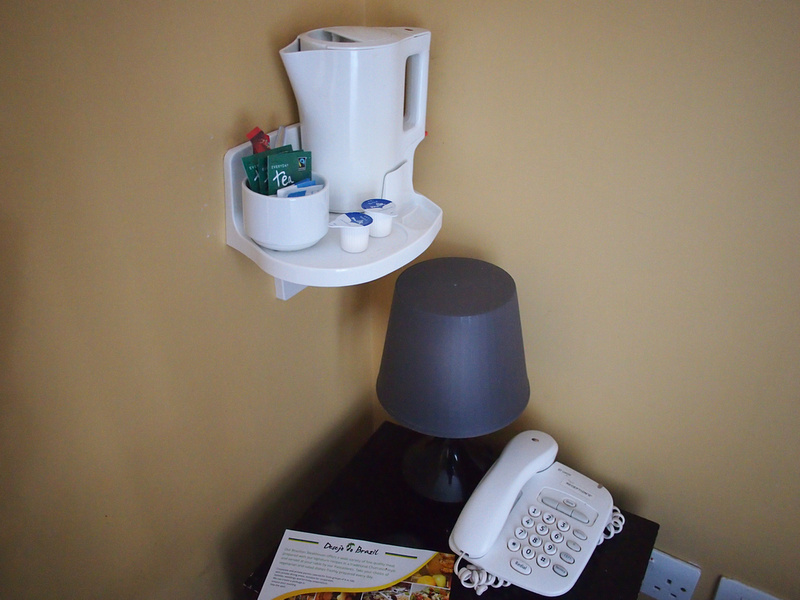 Even the smallest British room you will find a space for a kettle and tea making facilities. 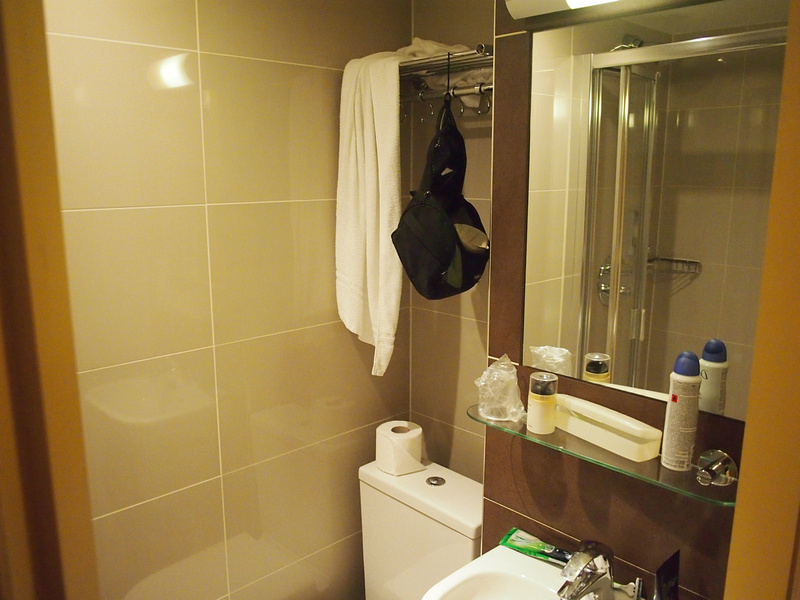 The bathroom was clean and modern, and the hot water worked almost straight away. There is a breakfast service available at an additional price which I didn’t take up. There is free wifi throughout the hotel, and I had no problems with the connection. Overall this was a great place to stay in London and I would stay here again if need be. 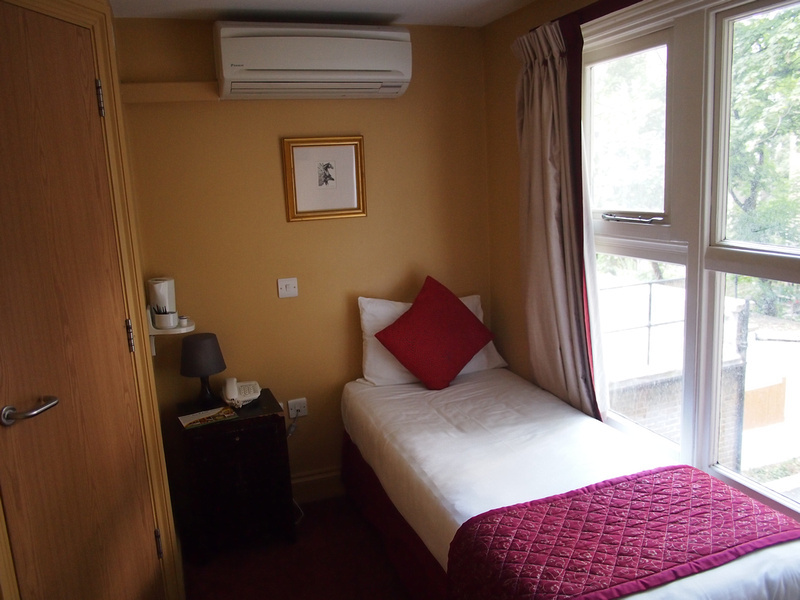 Book the Coronation Hotel online or search for more hotels in London.